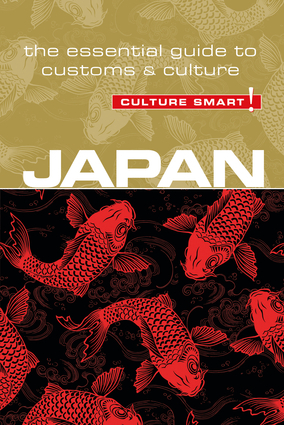 We explore the Japanese cultural scene, from deep-seated attitudes and values to the ever-important world of business, identifying change where it is taking place and highlighting the many traditional customs and practices that still feature in Japanese life. This traditionalism can appear paradoxical when set against Japan’s stunning city architecture and ultra-modern transportation and communications systems, or the sight of Japanese youth following Western fashion and style in Hibiya Park, Tokyo. Culture Smart! Japan aims to broaden your perception and understanding of the Japanese people, to equip you with the tools to avoid the pitfalls of cultural misunderstanding, and to make your visit to this important, dynamic, and creative society a rich and mutually rewarding experience. Is the highly refined Japanese sense of obligation and duty that pervades everyday life at all levels and can never be ignored. It extends to gift-giving and entertainment—choosing a “return meal” in a comparable restaurant, for example. However, there are further intricacies relating to this concept that must be taken note of.